I am very happy to reveal my new project: Starting this fall, I will be guest blogging for Marionnaud Switzerland. 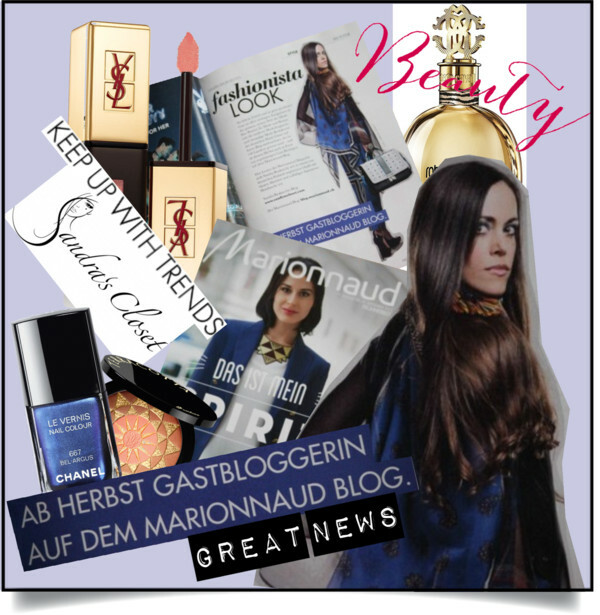 Those posts will be published in German and French and I will be showing you on a regular basis some of my beauty must-haves. 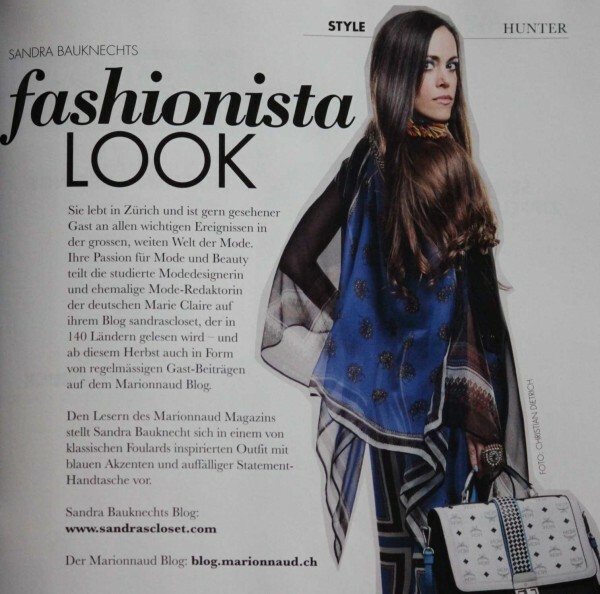 Thank you, Marionnaud, for the lovely introduction in the recent magazine! If you like my look, please click here.